An end to falsified data, financial fraud and safety issues. Join us and together we will revolutionize the auto industry! Vehicle ownership, insurance history, repair and maintenance, are recorded and made transparent to both businesses and consumers. 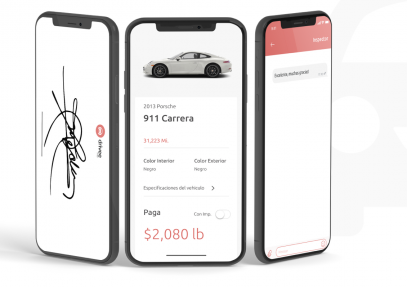 Ethereum-based platform will provide many benefits to users including enforcing warranties, maximizing the resale value of vehicles, ascertaining the authenticity of spare parts, and more accurate and cost-effective insurance claim management. For the owner, this is an attractive possibility to emphasize the value of the car by leaving all the maintenance records on the blockchain. Experts predict, that by 2025, participants in the automotive sector are expected to spend approximately 0.6% of their total IT spend on blockchain technology, alone. Copyright © 2019 Drivee, Inc. All Rights Reserved.